Our teens Pilates class is a new addition to the classes that we offer. Numerous clients in this age group have come to us with either chronic or overuse injuries from too much or too little exercise. It has been found that in the majority of cases, clients have injured themselves or have experienced pain due to a lack of stability of joints as well as poor core control. This is true not only for teenagers that haven’t been involved in sport, but also for those that pursue one or more sports at a time. During and after school, adolescents spend much of their time learning the fitness, strength and skills of their chosen sport. Often certain elements of their physical development are overlooked. Due to these gaps in their sport programme, imbalances in the musculoskeletal system may occur. These gaps can be assessed by one of our Biokineticists during a musculoskeletal evaluation. Following from the evaluation, the Biokineticist is able to include exercises that target weakness of all the class members. 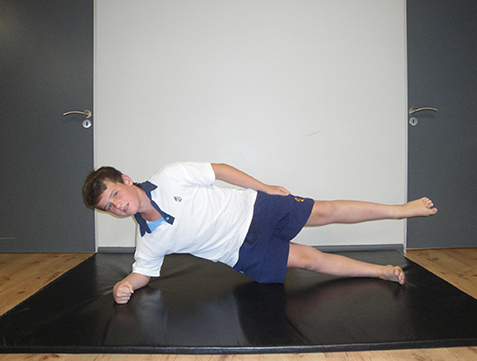 Elements that are addressed in our Teens Pilates classes are posture improvement; orthopaedic rehabilitation; prevention of injuries; muscle weakness; flexibility exercises and neuromuscular re-education. 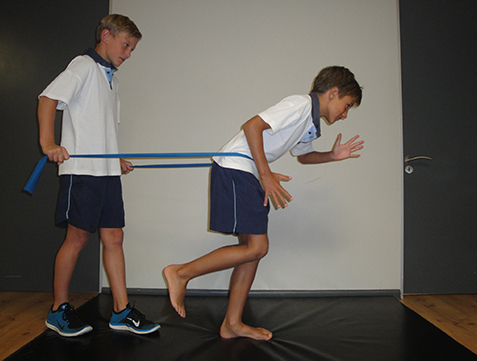 Neuromuscular re-education involves the ability to activate and deactivate certain muscles in a movement. It requires consciously trying to connect to a muscle so that you can move in a certain way. This skill is imperative at this stage in development. It allows for smooth control of movement which directly relates to performance in sport. Deficits in neuromuscular control are easily improved during this stage of development, and therefore should be addressed as early as possible. Our classes are for both girls and boys. Exercises involve matwork, dumbbells, therabands, Pilates’ balls and tone balls. These workouts are fun, social classes where adolescents from a range of sports and activities get together to improve imbalances and prepare for an active lifestyle.